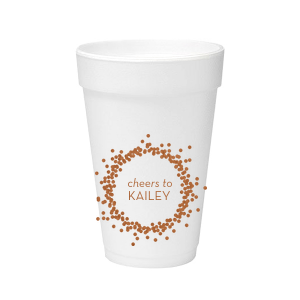 Celebrate your son or daughter of the commandments' important life milestone with personalized bar/bat mitzvah 16 oz foam cups. Browse our curated library of design ideas and screen printing colors to find the look that complements your party theme. Create your custom designed bar/bat mitzvah 16 oz foam cup today! Personalized Bar/Bat Mitzvah 16 oz Foam Cups, Customized Bar/Bat Mitzvah 16 oz Foam Cups Mazel Tov! 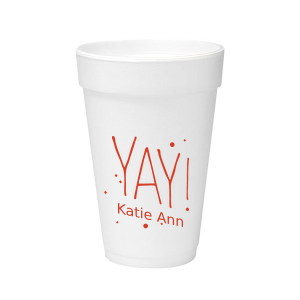 Take your hospitality up a level with personalized bar/bat mitzvah 16 oz foam cups. 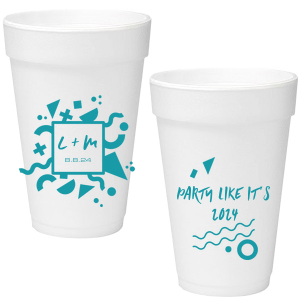 Custom design your personalized bar/bat mitzvah foam cups to meet your specific vision by choosing from dozens of screen printing color options and galleries of design ideas. Serving warm and cold drinks? 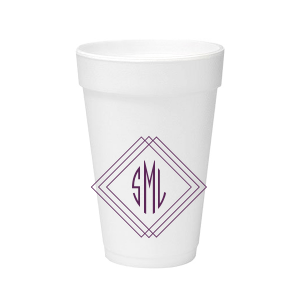 That will be no problem with your custom designed bar/bat mitzvah 16 oz foam cups-- they are the perfect size for a generous serving of soda or beer, and not too big for coffee or cider. Concerned about the environment? 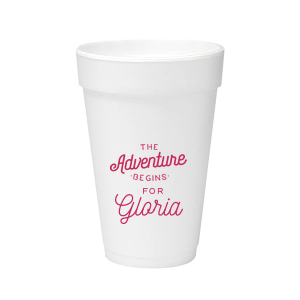 Our personalized bar/bat mitzvah 16 oz foam cups are recyclable. 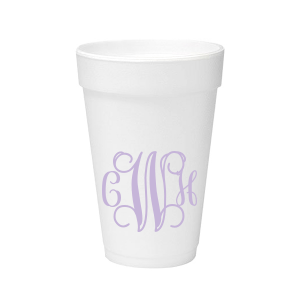 Create the perfect custom designed bar/bat mitzvah 16 oz foam cup today!